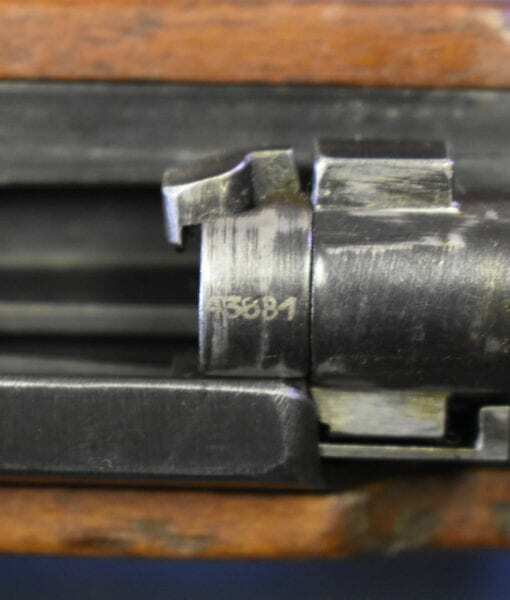 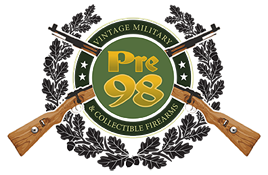 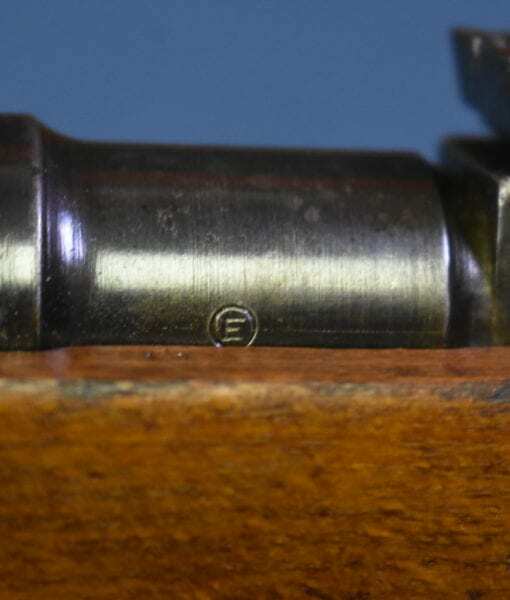 SOLD EXCEPTIONAL VET BROUGHT BACK HUNGARIAN 43M INFANTRY RIFLE….ALL MATCHING AND ULTRA RARE!!! 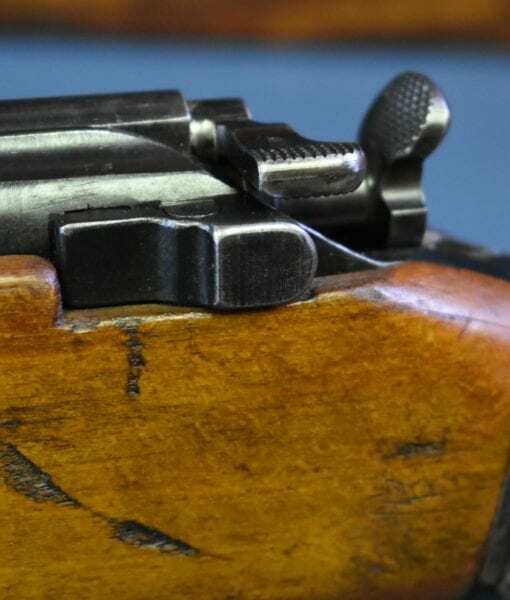 This is a WW2 rifle you just never see and never ever find this nice. 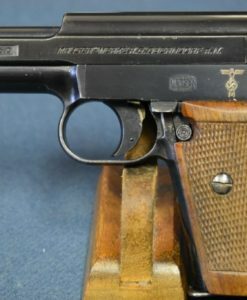 The last one we had in was 7 years ago. 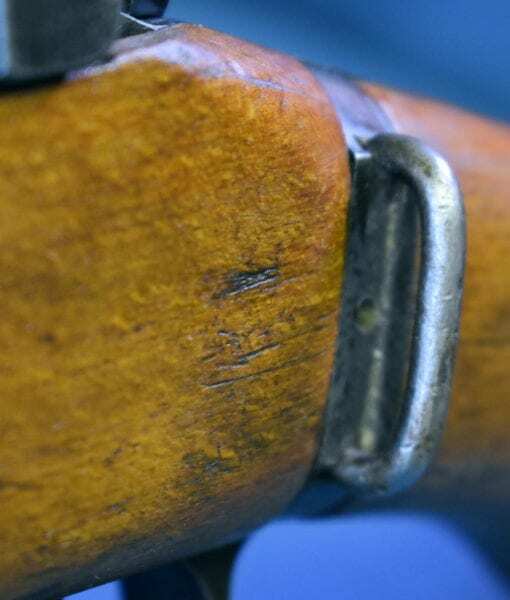 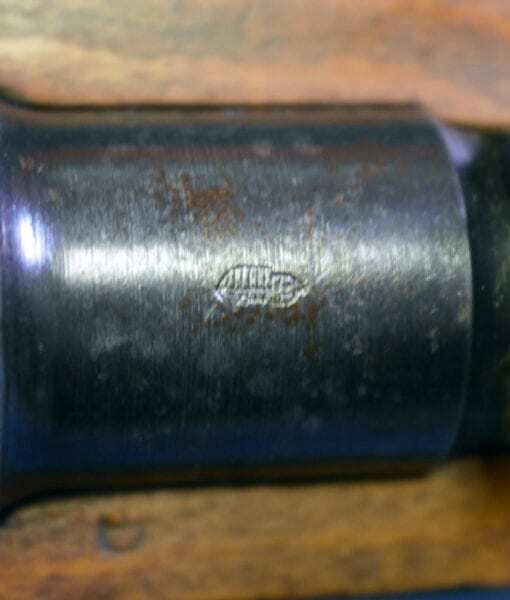 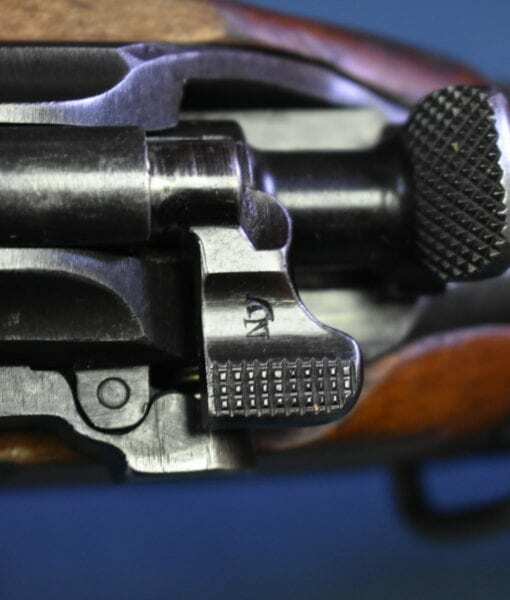 In excellent all matching condition, we have a documented vet brought back 1944 production Hungarian 43m Service Rifle. 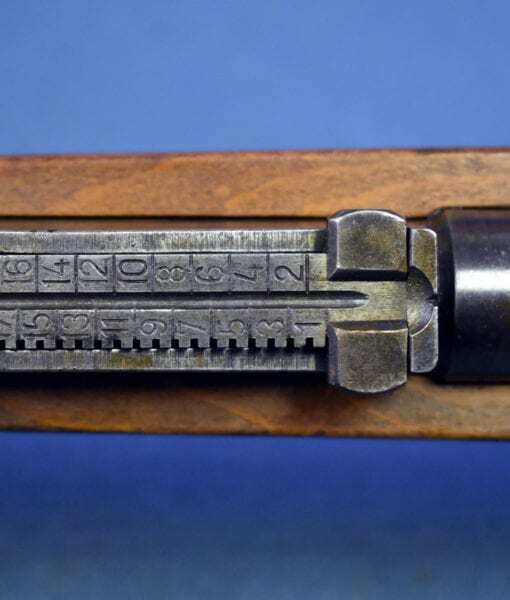 These rare rifles were made in 1943-44 and were based on the Nazi/Hungarian G98/40 Rifle, a Rifle produced in Hungary for the Germans. 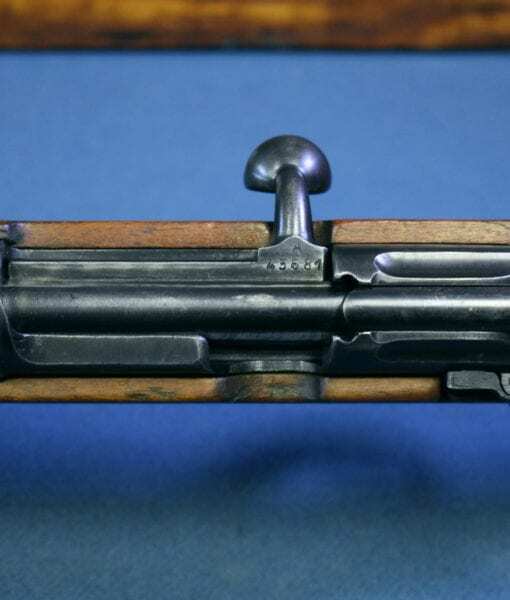 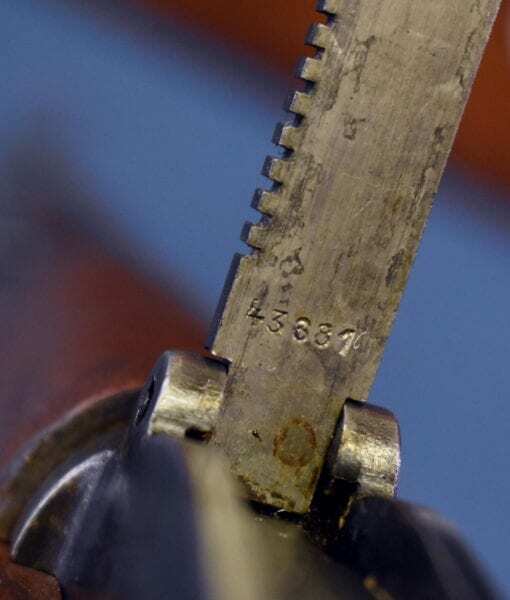 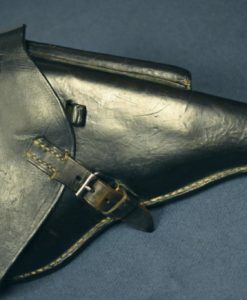 The main difference between the two variants was in the sling attachment points and the use of different bayonets. 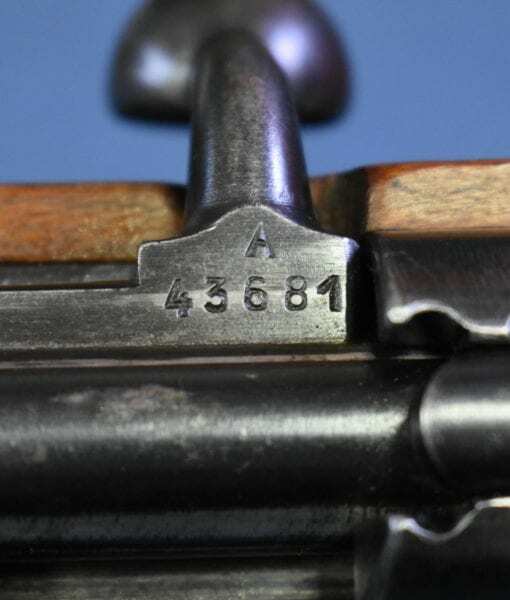 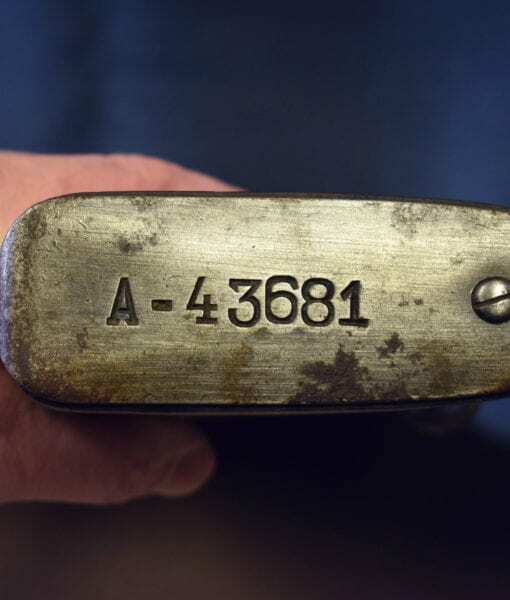 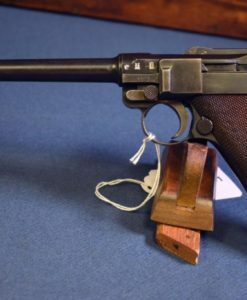 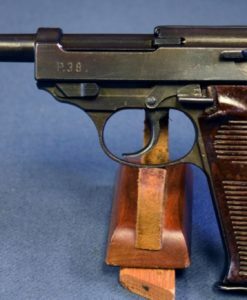 While the German G98/40 rifle was in production from 1941-1944 the Hungarian 43M is much rarer being only made for a little more than a year and only a handful ever being brought back to the States as war trophies. 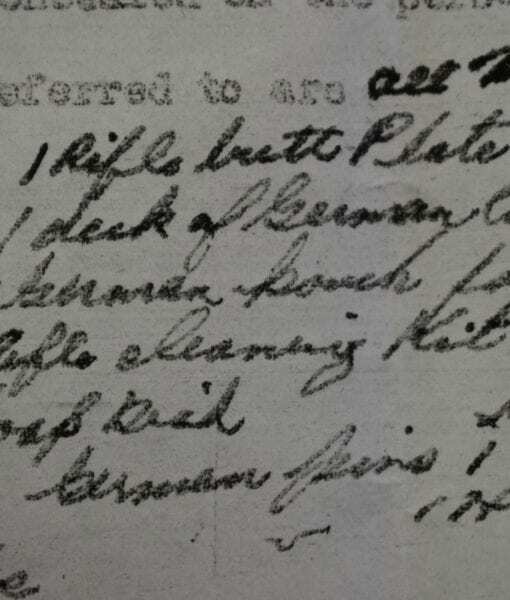 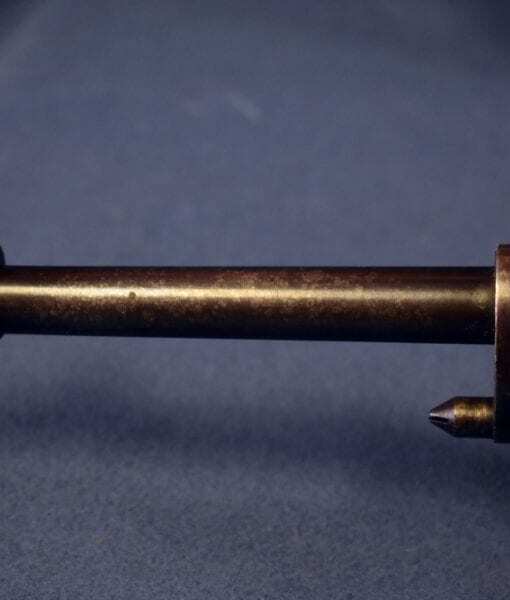 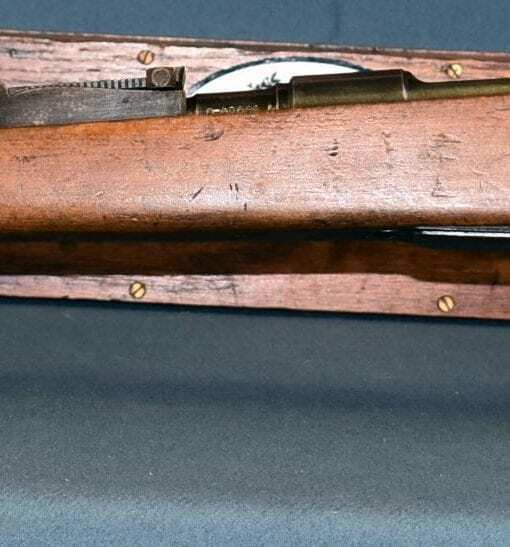 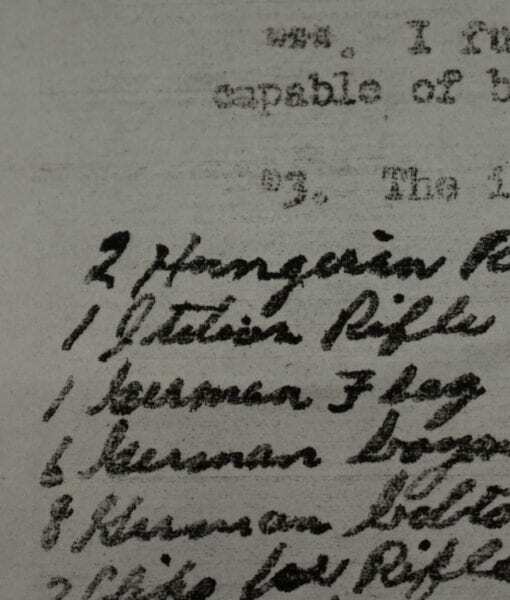 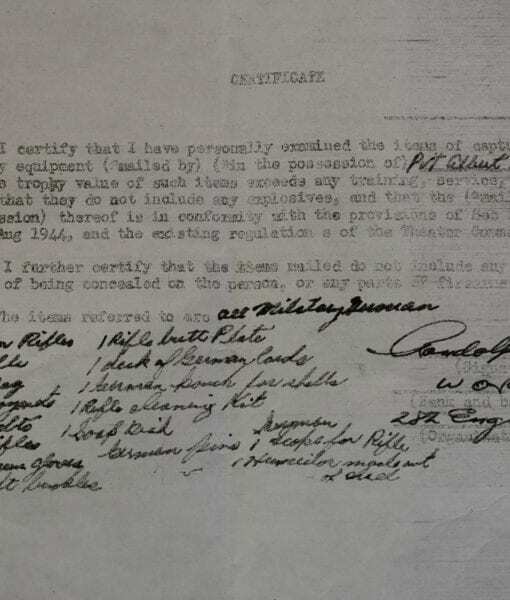 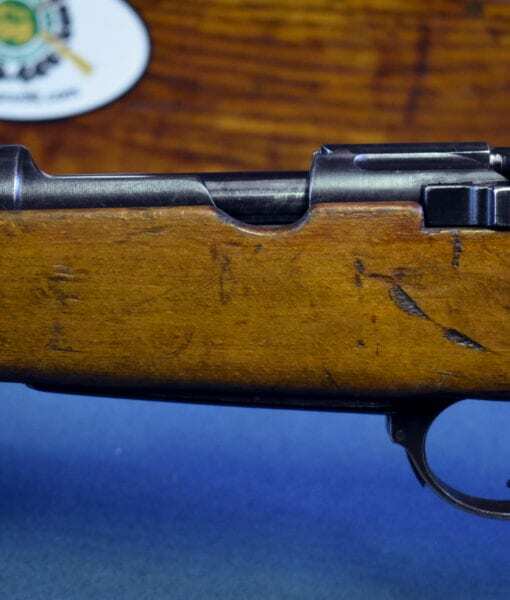 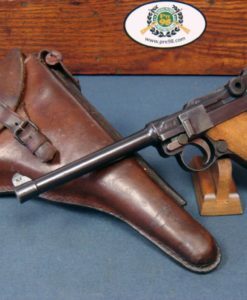 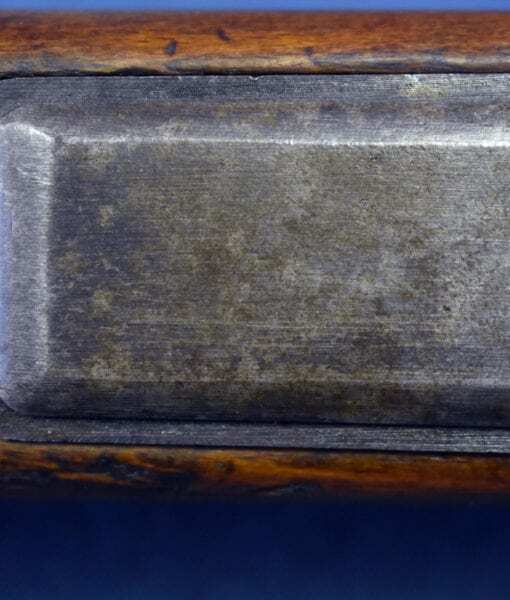 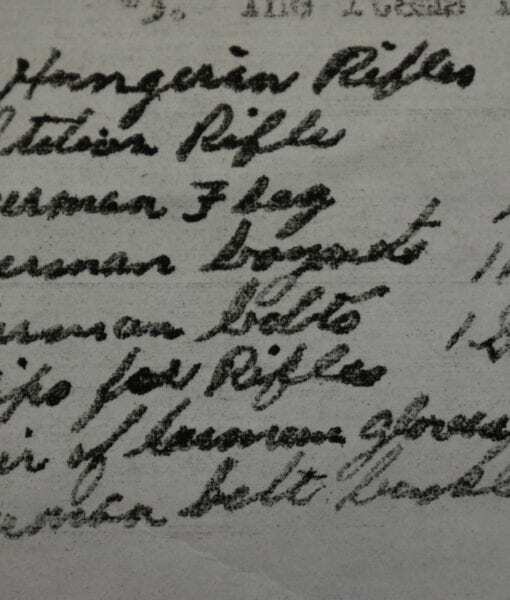 This rifle is part of a haul of war booty that was brought back by a Private in the Engineers and a copy of the capture papers is included. 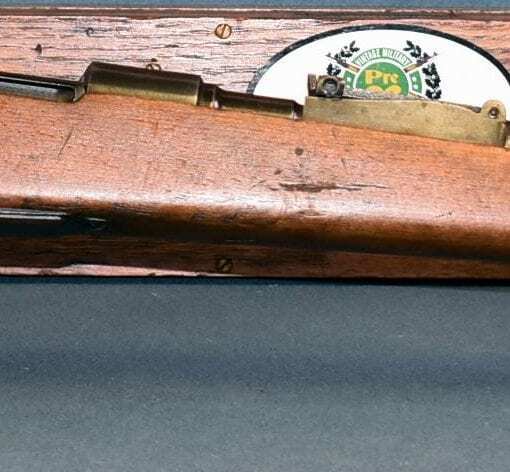 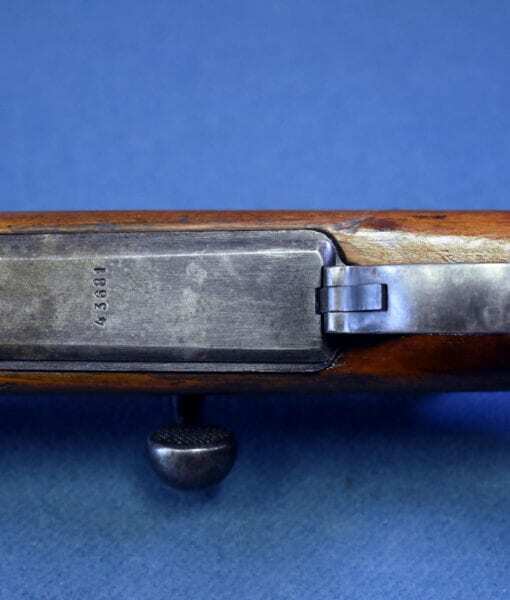 Finding a superior example of this rifle is not easy; most of the ones around are roach grade. 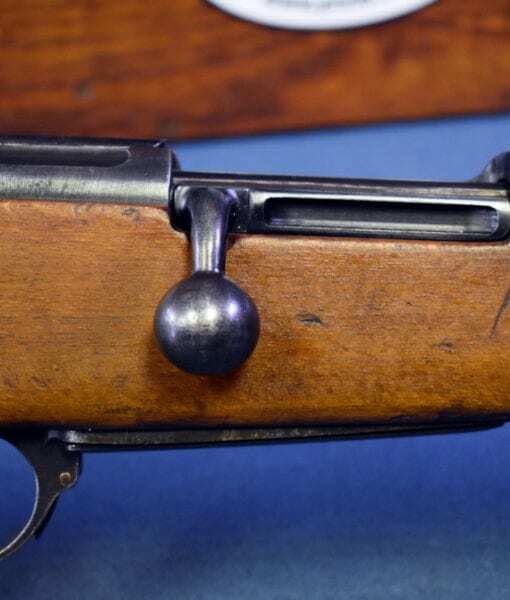 This premier example we are offering still even has the impossible to locate sight hood. 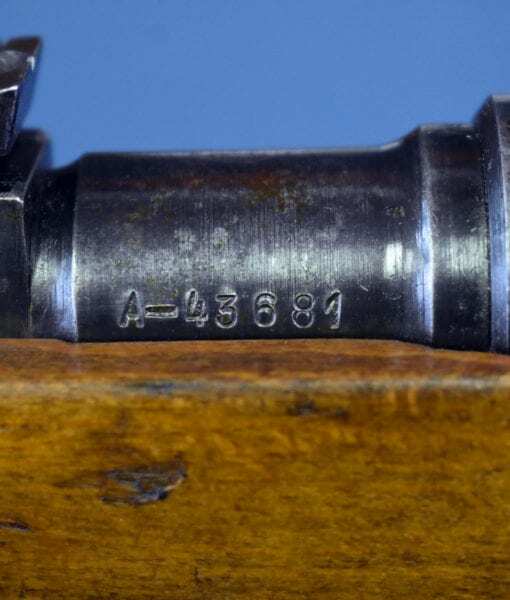 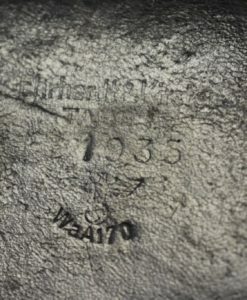 This is a textbook example of one of the most difficult of the Axis WW2 Service Rifles to locate and this is a real score!